We now investigate Brilliant Earth, the final layer before we get to the center. Brilliant Earth is located at the very end because understanding their very sophisticated and targeted marketing is contingent upon understanding what I have presented previously about the Responsible Jewellery Council. Nearly every blogger, reporter, or potential customer looking to learn about ethical jewelry goes through the Brilliant Earth gateway. Their website gets over a million visits a month, their social media presence is massive—and, as of the time of this writing, they have even opened up seven brick-and-mortar stores across the US. Every bit of marketing I’ve ever seen from Brilliant Earth is, well, brilliant. 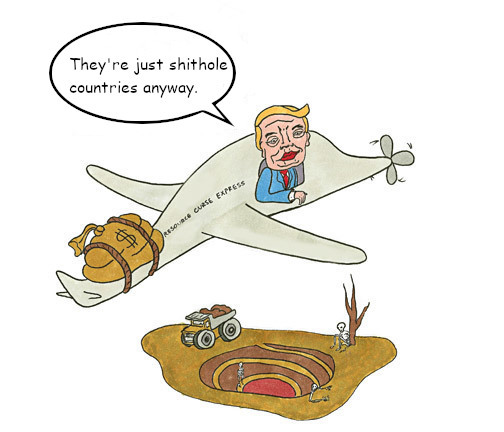 Search online for anything having to do with “ethical” and/or “conflict free” in conjunction with jewelry, wedding or engagement rings, mining, human rights, or the environment and you will find an informative, well-illustrated article from Brilliant Earth. Throughout the writing, I’ll be providing screen shots. If you go on their website and look at their news and information page, you’ll find informative pieces outlining their humanistic initiatives and concerns about making the world a better place. Millennials, Gen Z, or anyone concerned about responsible sourcing and looking for a wedding ring would feel, these guys are on my side. I can trust them. I can move on to this list of a billion other tasks to get done before my wedding day. BE follows closely issues related to human rights and environmental justice. Often, they build upon information gathered from organizations I have discussed in the Exposé, including Global Witness, Human Rights Watch, Earthworks, and Amnesty International. And yet… and yet… if you explore Brilliant Earth’s site further, you come across their “chain of custody protocols” which are in alignment with the Responsible Jewellery Council. Allow me explain this a bit more…. When Brilliant Earth refers to Earthworks in one of their 2015 articles, they essentially endorse Earthworks as authoritative. Yet Earthworks, as I discussed earlier, produced More Shine Than Substance—the first brutally meticulous denial of the Responsible Jewellery Council’s credibility. Amnesty International, Anti-Corruption Trust of Southern Africa, ask! Arbeitsgruppe Schweiz Kolumbien (Swiss Working Group on Colombia), Artisanal Gold Council (Canada), Centre for Natural Resource Governance (Zimbabwe), Child Labor Coalition (US), Coalition de la Société Civile de la Région de Grands Lacs contre l'exploitation illégale des Ressources Naturelles (African Great Lakes Region), Ecumenical Institute for Labor Education and Research (Philippines), Enough Project (US), Gesellschaft für bedrohte Völker (Society for Threatened Peoples STP, Switzerland), Global March Against Child Labor, Global Witness,Groupe d'Appui aux Exploitants des Ressources Naturelles (Democratic Republic of Congo), Groupe de Recherche et de Plaidoyer sur les Industries Extractives (Côte d’Ivoire), Human Rights Watch, India Committee of the Netherlands (Netherlands), IMPACT (Canada), IndustriALL Global Union, International Corporate Accountability Roundtable, International Labor Rights Forum, MIHOSO International (Ghana), National Consumers League (US), New Light Children Centre Organization (Tanzania), Public Eye (Switzerland), Réseau de Lutte Contre La Faim (Cameroon), Solidarity Organisation Afrikagrupperna (The Africa Groups of Sweden), Stop Child Labour Coalition (Netherlands), Swedwatch (Sweden), Zimbabwe Environmental Law Association (Zimbabwe). Among these organizations are those which Brilliant Earth uses in their articles to build their authority as a progressive organization that the activist Millennial can trust. Yet these organizations have signed a document aligned with Human Rights Watch which blasts the credibility of the Responsible Jewellery Council, which Brilliant Earth endorses on their website. First, it is impossible to understand this company, with its astonishing hold on the ethical jewelry market, without first having a grasp on the “deep state” of the jewelry world hidden in the Responsible Jewelry Council. Second: it’s impossible to understand the US ethical jewelry market without a focus on Brilliant Earth. If a diamond engagement ring represents commitment, community, fidelity, and love, why is it that its sourcing resulted in millions of deaths, and in the destruction of entire ecosystems? Why is it that we in North America do not have an ethical jewelry movement grounded in benefit to producer communities, and that after three years I am still the only certified Fairtrade Gold jeweler in the USA? The answers to these questions cannot be fully understood without revealing the forward-facing narratives of Brilliant Earth, for they dominate the ethical jewelry market in North America. Inn 2007, when Brilliant Earth was about two years old, I was among several pioneer ethical jewelers who supported this start up, run by two Stanford Business School graduates, through free consultation on running an ethical jewelry business. Soon, Brilliant Earth’s scale surpassed all small-studio jewelers. Funded by investors, they developed a superior website, and their company grew exponentially. Within a few years, they were the self-proclaimed “global leader” in ethically-sourced jewelry, dominating the ethical jewelry market in North America. In 2013, the BE website had a top line navigational item called “Our Movement”—referring to the ethical jewelry movement, now claimed as their own. Of course, the ethical jewelry movement is not owned by anyone. It is, and always has been, a community effort. My central argument of this exposé, again, is that ethical jewelry must benefit The Pure Water People. The people of the land must control and benefit from the resources of their land, and be supported to employ best practices in terms of social and environmental responsibility. The most important and successful initiatives, as we explored in the introduction, have been in gold from small-scale mining communities. Oro Verde officially closed in 2014, and ceased exporting gold years before that. When I was meeting with Fairtrade in London in 2013, I met a representative from Oro Verde and they had not been exporting gold for at least a year or two. 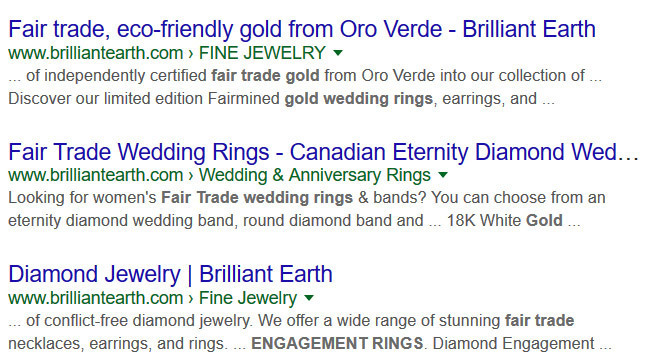 I’m not 100% sure of the timing here—but I believe that for at least the past five years, Brilliant Earth has been “proud to offer fair trade gold from Oro Verde into our collection…” even though they have not been able to do so for perhaps four years or more. Yet Brilliant Earth chooses to keep this reference to Oro Verde in the meta description of this article. The commitment to Fairmined Gold is still a powerfully-endorsed narrative. Brilliant Earth, “leading ethical jewelers,” speak of getting their Fairmined Gold from two co-ops (referring, I believe, to Fairmined Gold mines) in this publication: Mining in Latin America: Critical Approaches to the New Extraction. This quote is indicative of Brilliant Earth’s serious commitment to Fairmined…sourcing from two co-ops. Note also the reference to Oro Verde in this passage—even though this book was published in 2016. It reflects well on Brilliant Earth to align itself with Oro Verde, because Oro Verde represents the birth of the global ethical jewelry movement. At this mine, small-scale miners were digging alluvial gold out of the earth, and then filling the holes back in and using the area for agriculture. There were no chemicals, there was no long-term damage to the land. But this gold was then being sold off to middlemen, and mixed with other gold from mercury-extracted sources. Greg Valerio, with the generous support of his benefactor, Andrew Hunt, was the first jeweler to travel to Oro Verde in Colombia to buy this gold directly, and his story is the creation story that helped launch Fairtrade Gold. In referencing Oro Verde, Brilliant Earth has inserted themselves into that that narrative of the ethical jewelry movement, supporting the claim that the ethical jewelry movement is indeed their movement. You know that Brilliant Earth was there at the very beginning, buying gold from Oro Verde. If Brilliant Earth actually backed up this extensive marketing with a robust offering of Fairmined Gold, I wouldn’t have any complaints. In fact, I would consider them heroes. Instead of including them here, I would probably be singing their praises. Brilliant Earth’s Fairmined initiative had the potential to land Fairmined Gold in the US market. That would have been a tremendous and radical move. With their market power, they would have changed the ethical jewelry story in North America simply by anchoring ethical jewelry with the plight of small-scale miners. This screenshot, taken 6/29/18, shows the full extent of Brilliant Earth’s Fairmined product listings. 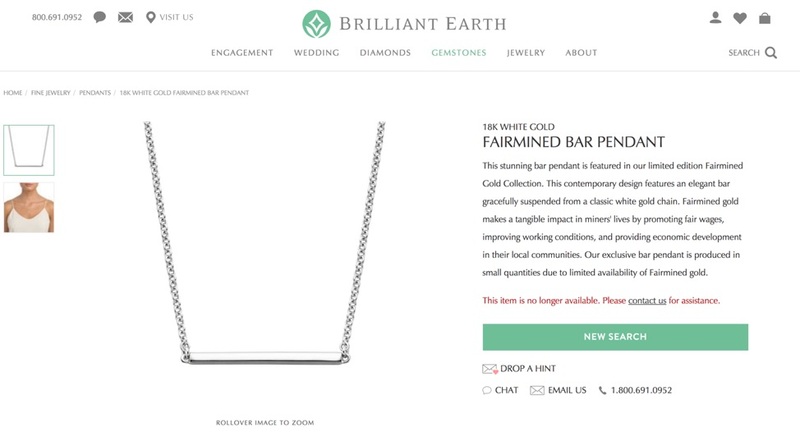 So, out of thousands of items on its website, Brilliant Earth is only offering four in Fairmined? This screenshot also dates to 6/29/18. In other words, they are essentially equal. Read more about recycled gold here. Yet the marketing of recycled gold is unquestioned by the public because the idea of “recycled” is ingrained in the green market as the solution. The more recycled paper we use, the fewer trees we cut down. True. The more recycled gold we use, the less we mine. False. A recycled gold wedding ring absolutely is not going to slow the activities of Rio Tinto. Mining depends upon market forces, and gold is and will always be seen as an investment. For small-scale miners, it is not about the politics of greed, but rather the politics of bread. They dig to feed themselves and their families. They mine because they must. They use mercury because it is all that they know how to use, or all they have access to. After coal-fired plants, small-scale gold mining is the largest contributor of global mercury contamination. It is massively destructive to the environment. Video taken by author in Tanzania, of a small-scale miner mixing gold and mercury to remove gold dust from sand and water. Honestly, a small-scale gold miner in Kenya or Peru could not care less about an “ethical” recycled gold wedding ring shipped to you in a recycled paper or wooden box. Yet, Brilliant Earth bases the veracity of their ethical claim squarely on recycled gold. making recycled gold the main obstacle to an ethical jewelry narrative which would benefit small-scale producers. The difference is perhaps that, with Brilliant Earth, you get your own little blessing of Oro Verde within your recycled gold wedding ring. The Oro Verde story becomes your story too. Let’s put this in context to earlier writing. Homepage screen shot of part of the SCS Global Services website. I have personally had interactions with Scientific Certification Systems. I played a small part in their “sustainable jewelry standard” through my free insider consulting that highlighted their opportunity back in 2011. Scientific Certification Systems is now commonly used by companies to certify their practices of using authentic recycled gold and diamonds. 1. Get the diamond vendors who stated, on video, that the diamond sold as Canadian was not in fact Canadian to retract their remarks. 2. Discredit the journalist who called them out by accusing him of acting out of self-interest. 3. And finally, roll out the Scientific Certification Systems certification. 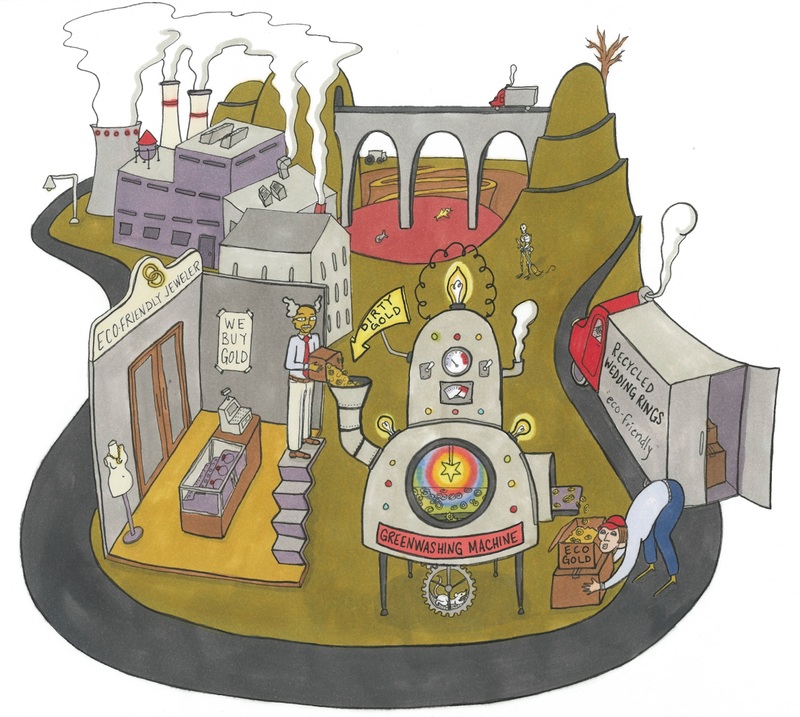 The branding around Scientific Certification Systems may be about sustainability, but the net result of legitimizing recycled gold as an ethical alternative is to diminish the market for gold from ethical small-scale mining. 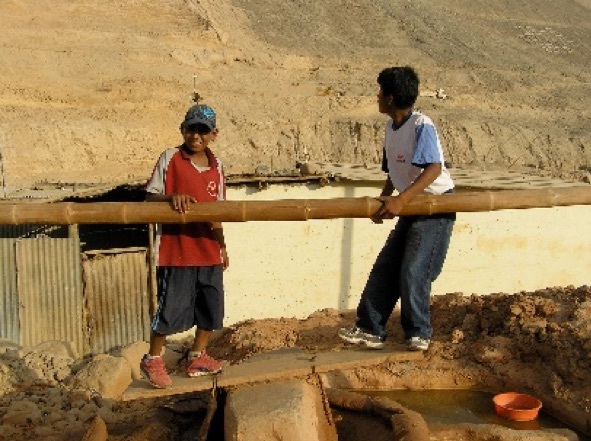 These two gold mining kids work with mercury in a Peruvian mine. This is what we want to eliminate through Fairtrade and/or Fairmined Gold. Photo by Greg Valerio. Scientific Certification Systems certification only tells us that BE purchased recycled gold from the refiner. As to the gold itself, it could have originally come from these kids in Peru, or some other analogous situation. In essence, recycled gold is in itself no different from any gold in the mainstream supply chain rebranded as eco-friendly recycled gold. Tina Mwasha grew up in small village in Tanzania, and became the first female mining engineer in her country, working to assist small-scale mining communities to reach Fairtrade Gold certification, which reduces poverty and eliminates mercury poisoning the environment. Ethical gold from artisanal and small-scale mining creates regenerative economic models, true and beautiful relationships based on a fair and equitable exchange, often with communities that have been marginalized or ravaged by historical colonialism and globalism. The current recycled gold narrative, not just in the mainstream, but also rooted among progressive change agents in the US, means hundreds of thousands of small-scale miners will continue to remain in poverty, poisoning themselves and their children with mercury. The energy for change, the bloggers, journalists and customers who could create a transformative movement, is stuck in the recycled gold story. In context to Fairtrade Gold, there is a very specific narrative bolstered by years of work dedicated to supporting producer communities. Yet consumers often do not understand that Fairtrade and fair trade are not the same thing. In brief: the term “Fairtrade Gold” is trademarked by FLO/Fairtrade International. “Fair trade” is a general term that can be used by anyone, in any context. This makes it a magnet for false claims, akin to the words “all-natural,” which food conglomerates employ for spin to sell products. If a company chooses to market themselves as selling fair trade gold, but this is not Fairtrade certified, authentic Fairtrade Gold, it creates market confusion which ultimately undermines Fairtrade Gold. BE claims to be selling fair trade gold jewelry, wedding rings, engagement rings, etc. Screenshot from summer 2018. Thus, any millennial shopper who is searching for fair trade jewelry will find their way onto Brilliant Earth’s website. These shoppers could not possibly understand that in fact they are entering a company which endorses a standard that certifies as ethical these companies: Anglo Gold Ashanti, BHP Billiton, Newmont, and Rio Tinto. Note one other thing—and if you are at all familiar with best search engine optimization practices, you will understand the significance of the URL of this page. It isn’t “/fairmined-gold.” It’s /fair-trade-gold. Fair trade is a much stronger keyword than Fairmined. This means that Brilliant Earth will show up higher on Google for a fair trade gold search, which brings a customer to a Fairmined Gold page where they will not find any selection of Fairmined Gold jewelry. Note the use of a “fair trade” gold system, again because the term “fair trade” gold can be used by anyone. The general public will not know the difference between “fair trade gold” and Fairtrade Gold. Brilliant Earth’s claim that they helped to develop a fair trade gold system is totally specious. If Brilliant Earth had come to me and said, “We want to join up and make our product with Fairtrade Gold,” I would have counted it as a major victory—because attempting to establish Fairtrade Gold in the US requires a broad community of jewelers for success. There’s continuity in Brilliant Earth’s we were there at the very beginning approach used in the Oro Verde narrative in the marketing of their diamonds. Note Brilliant Earth’s support of the Diamond Development Initiative (see the Fifth Russian Doll: Death of the Fair Trade Diamond). Screenshot from summer 2018. When I saw this, I forwarded it to Greg Valerio who confirmed with Fairtrade International that Brilliant Earth is not in any kind of discussion with them over “fair trade” diamonds. Regardless of whether Brilliant Earth was in conversation with some other fair trade organization at some point, the narrative conveys an active, current, central role—the center of a stakeholder discussion for an emerging fair trade diamond. Diamonds are not even on Fairtrade’s radar. 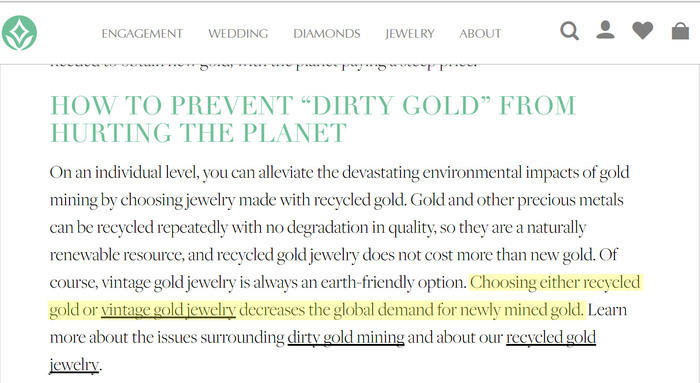 Yet Brilliant Earth claims to sell fair trade diamonds in their Google ads. Yet Brilliant Earth’s sourcing of diamonds is from multinational corporations, including those from Russia. Screenshot from Brilliant Earth’s website showing diamond sourcing at the Alrosa mine in Russia. Alrosa was recently referenced in this New York Times article in context to corruption allegations and Brexit. The Russian government is the largest stakeholder in Alrosa. The largest buyer of this rough material is Lev Leviev, notorious for his human rights abuses in Angola. To link the activity of large multinational diamond mining corporations owned by Russian oligarchs with fair trade principals is a bit of a stretch, I think. Technically, of course, fair labor and human rights protections are part of fair trade and they can also be offered by large mining conglomerates. I have never seen any other ethical jeweler try to link the activities of these companies to fair trade principals. If the companies themselves made these claims, they would be called out! 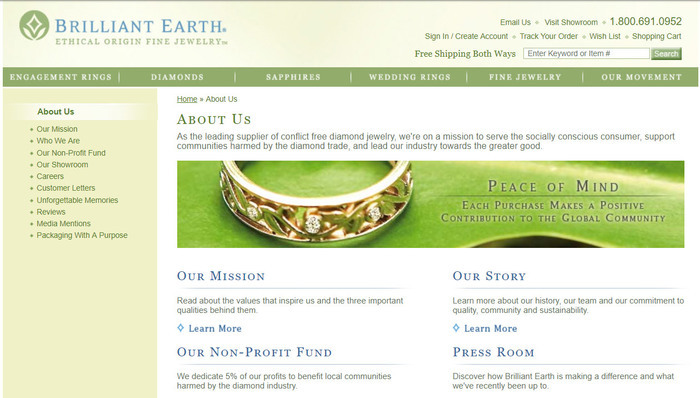 Brilliant Earth does help fund the Diamond Development Initiative, which is their vision of a fair trade diamond future. The Diamond Development Initiative, however, is a non-profit in collaboration with De Beers, who will be purchasing all the diamonds and releasing them to market. 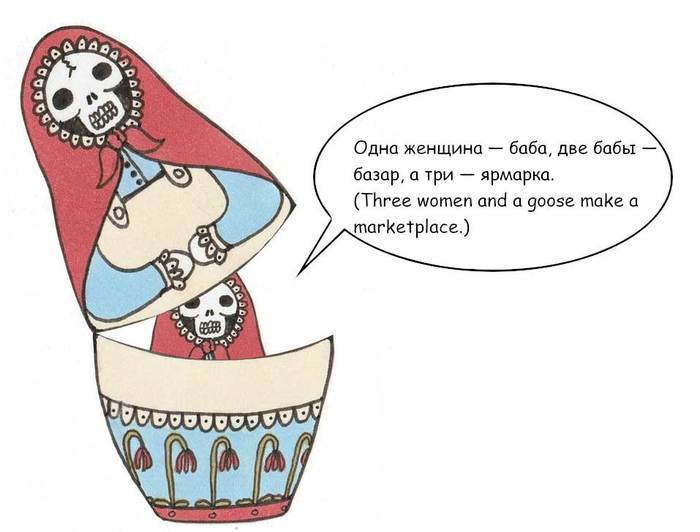 I have already argued in Fifth Russian Doll: Death of the Fair Trade Diamond that the De Beers/Diamond Development Initiative partnership will not be the source of a new fair trade diamond, but rather the death of an emerging fair trade diamond. I’m not going to go into my abhorrence of the conflict free narrative again—it has been a major theme and the focus of the Seventh Russian Doll: Lies, Damn Lies, and Conflict Free Diamonds. Back in 2009, I believed in Brilliant Earth and interviewed Eric Grossberg, one of Brilliant Earth’s founders, on my Fair Jewelry Action website. He said, “Right now is a real opportunity for us to pro-actively redefine our relationship with the communities from which we source the materials in our products. This should extend beyond whitewashing and doing the minimum to satisfy critical NGOs. We should not let the daunting challenges of reform dissuade us from taking real steps toward a more sustainable future for the industry. Surely, if there is some distant memory in Brilliant Earth of what is possible beyond the bottom line profits, perhaps a memory of our common humanity in the people that run Brilliant Earth, the company could also be the solution. They, more than any other company in North America, have the potential to change the market. By actively being a voice against the Responsible Jewellery Council’s standards, and adopting Fairtrade Gold, they could follow the activist company/Patagonia model. They could transform the ethical jewelry narrative in the US market and become the leader in a movement that places small producers at the center of the ethical jewelry story in North America.